But this song will do more than get you in the mood to get out on the water – it helps you give back to the resource. 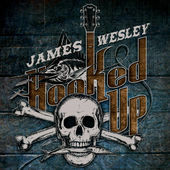 So download James Wesley’s newest hit and support KeepAmericaFishing today. It’s salt water fishing season in the Gulf of Mexico! 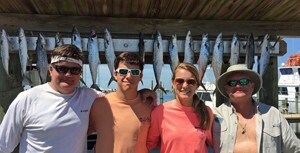 I took Paul and his daughter, Mary, and her boyfriend Gatlin out on a trip to catch king and spanish mackerel. We did good on the spanish with almost 4 limits. We lost two large kings though. They were biting early before turning off. We mainly fished over a wrecked ship only a mile or so from the mouth of Pensacola Bay. These fish were schooling and we fished them with artificial lures on light tackle. Talk about fun. Mackerel is an excellent and really healthy fish to eat. I smoked some and made some awesome dip using: cream cheese, chopped leeks and green onions, pepper, worcestershire sauce and lemon juice. As Gary would say, Dayumm Good. May 23 opens red snapper season in Gulf state waters with a new 70 day season. Can’t wait to get out on top of them. 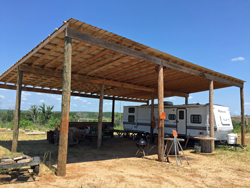 Next week the whole club team will be at the Pig for work days in preparation of hunting this year. See you from there next.